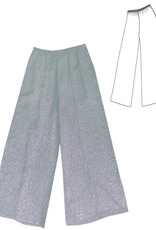 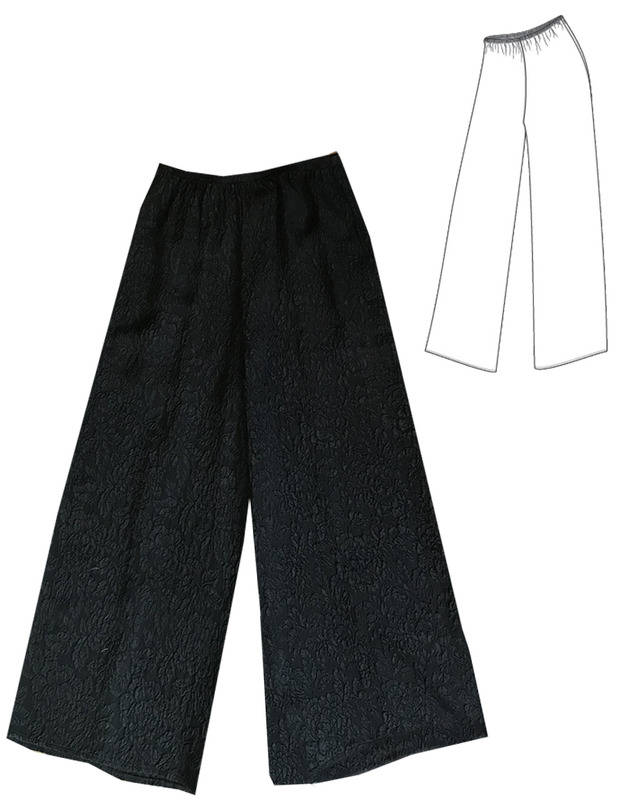 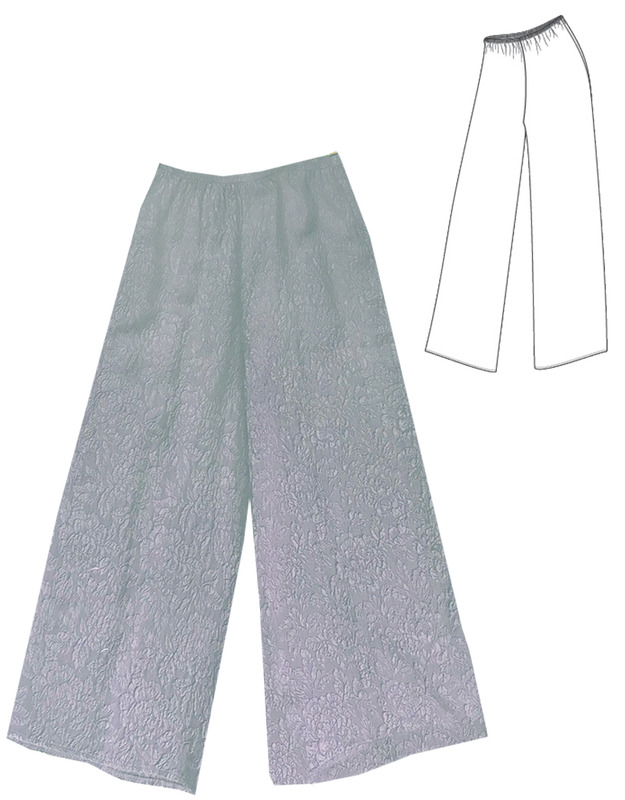 Pull-on elastic waist pant in beautiful floral textured hand dyed silk. 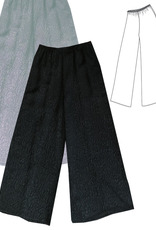 Coordinates beautifully with our other URU pieces. 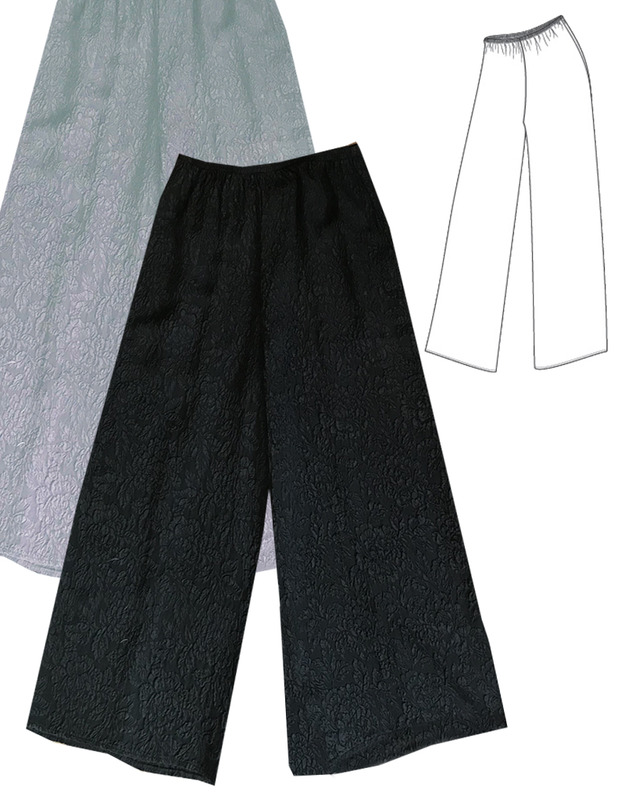 Available in Black and Periwinkle.